While Kansas Athletics' revenues have increased by 68 percent since 2006, its expenses have increased by 93 percent. Forget the numbers on the Memorial Stadium scoreboard, if you can. Divert your attention from the more pleasing numbers on the Allen Fieldhouse Jumbotron for a moment. The pros on Wall Street will tell you the really important games in America are scored with dollars, not points. By that measure, there are some Wall Street executives likely envious of Kansas Athletics — indictment issues aside. From 2006 to 2017, the nonprofit corporation Kansas Athletics Inc. has seen its revenues increase by 68 percent. That’s better revenue growth than Walmart, McDonald’s, Exxon and many other publicly traded firms posted during the time period. But looking only at revenues is like evaluating a football team by looking only at its offense. The other side of Kansas Athletics’ ledger tells a different story. While Kansas Athletics’ revenues have increased by 68 percent since 2006, its expenses have increased by 93 percent. For academic Murray Sperber, those numbers tell the story of modern, big-time college athletics. “I have come to realize that not only is college athletics the most dysfunctional business in America, it is also the most irrational,” said Sperber, professor emeritus at the University of California-Berkeley and longtime researcher and author on the finances of college athletics. The Journal-World spent months gathering and reviewing financial documents of Kansas Athletics Inc. as the program hopes to make the biggest bet in its history: $350 million of facility upgrades. The projects — about $300 million would be used to improve facilities for the school’s struggling football program — would add to Kansas Athletics’ debt totals and put more pressure on donors, who already are called upon to cover basic day-to-day operating expenses of the department. The review found that Kansas Athletics lost money in 2017, and donors had to cover a more than $19 million operating deficit the department posted for the year. When KU announced in September plans to build $350 million in new facilities, primarily for football, it marked the beginning of one of the biggest financial bets the program has ever made. The Journal-World decided to study the financial books, talk to leaders, and give readers a better understanding of the money game that is constantly a part of big-time college athletics. April 29: A look at how even truckloads of television money haven’t been enough to keep pace with the exploding costs of major college athletics. 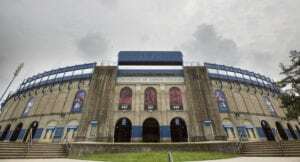 May 6: A look at how the falling fortunes of KU’s football program are putting pressure on the entire athletic department. KU Athletic Director Sheahon Zenger told the Journal-World he’s confident in the health of the athletic program and proud of how the department’s finances are managed. He cited both facility and program improvements that have occurred in recent years. On the facility side, those include new venues for track and field, golf, tennis, soccer, softball, a student athlete apartment building, a new home for the historic rules of basketball, and football improvements that include an indoor practice facility currently under construction. On the program side, those include more academic support and greater medical care provided to student athletes. 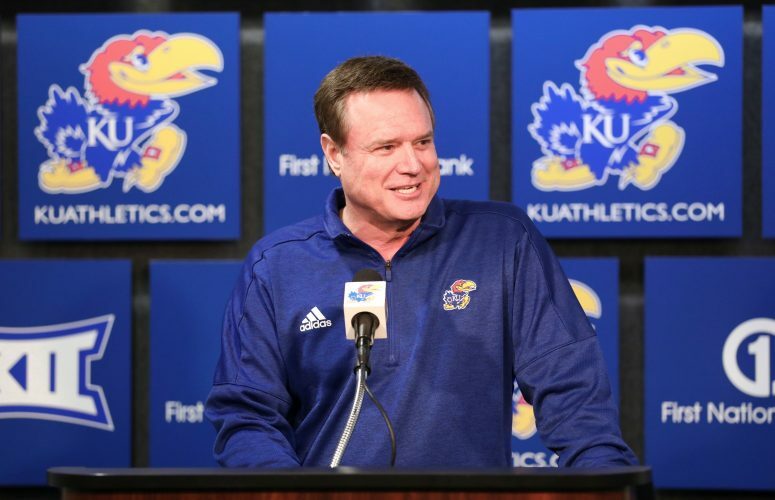 “So, yes, I believe very strongly in the overall health of Kansas Athletics,” Zenger said. But researchers of the business of college athletics argue facility and program enhancements aren’t necessarily a sign of financial health. Rather, they are evidence that college athletic programs are getting caught up in an arms race that produces very few winners. 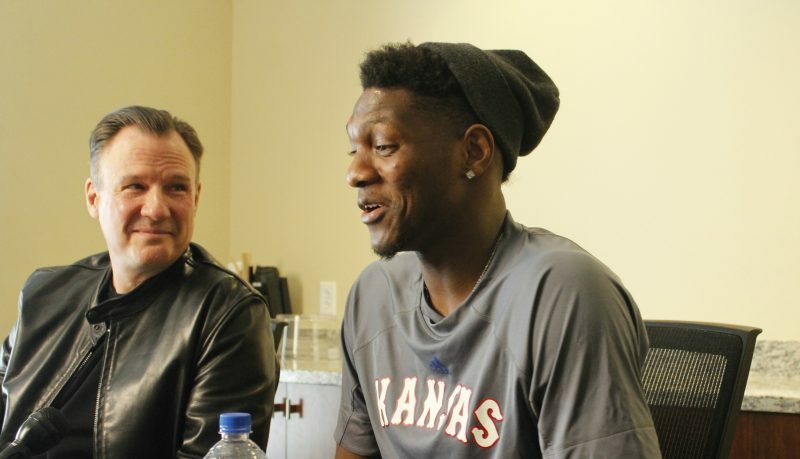 It has been like Kansas Athletics has found a gold mine on its property over the last decade. Instead of nuggets fueling the wealth, though, it mainly has been couch potatoes. The seemingly insatiable appetite of college football fans to watch games nonstop has created record television rights deals with major college football conferences like the Big 12. Anybody who has followed the business side of college athletics is aware of the infusion of money. The numbers at KU, though, are still striking. In fiscal year 2006, Kansas Athletics received $7.1 million in revenue from the Big 12 Conference and the NCAA, according to the annual audit of Kansas Athletics Inc. In fiscal year 2017, conference and NCAA revenue had grown to $32.3 million. Despite the piles of new money, Kansas Athletics did something in 2017 that it rarely does. It lost money — at least according to the simplest of measurements in the audited financial statements of the organization. 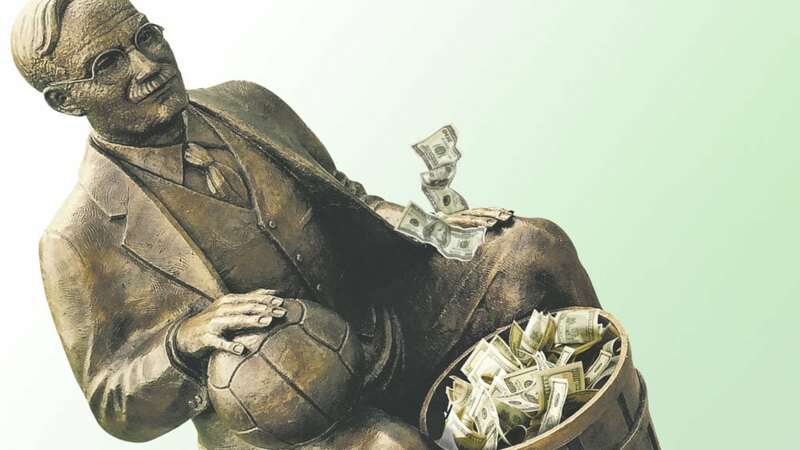 The auditors compiled a report that showed how much cash Kansas Athletics had in its various accounts at the beginning of its fiscal year and then again at the end of its fiscal year. When you look just at the cash held by Kansas Athletics Inc., the organization saw its cash balances decline by $1.4 million over the course of the fiscal year. When you add in the significant cash and investment holdings that KU Endowment keeps on behalf of KU Athletics, the loss narrows to $1.2 million. Regardless of which numbers you use, the financial performance in 2017 is not that significant by itself. A look at past years shows that KU has finished in the black on many occasions — in 2014, cash grew by at least $4 million. Even in a down 2017, the organization still had lots of cash. Kansas Athletics has nearly $50 million in accounts with the KU Endowment Association. The department is far from financial peril. But it will be important to watch whether this loss is the beginning of a new trend. Revenue growth slowed significantly for KU in 2017, coinciding with KU’s struggles on the football field. Overall, revenues in fiscal year 2017 grew by a modest 1.2 percent compared with the year earlier, while expenses shot up by 7.2 percent for the year. Zenger said revenues and expenses are watched carefully each year. But he also noted, on multiple occasions, that the university closely watches how much other athletic departments spend. Falling behind is a constant worry. 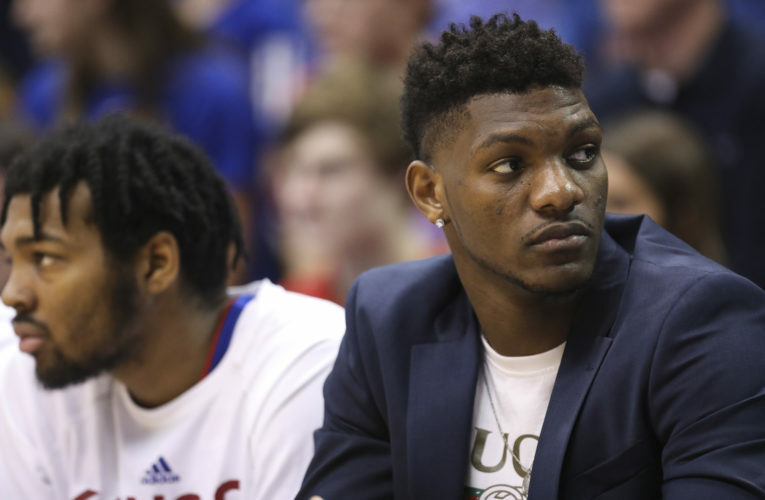 Gut-check times may be on the horizon for KU leaders. With KU hoping to undertake $350 million in construction, KU administrators will have to make some tough decisions about debt levels. Ridpath, the Ohio professor, said there’s reason for concern about KU’s debt strategy. In 2006, KU had 17 cents in debt and long-term leases for every $1 in assets that it owned, according to its audited financial statements. In 2017, that number had grown to 52 cents in debt/leases for every $1 worth of assets. “I’m not very bright, but 52 cents of every dollar being debt, boy oh boy, you can’t even get a high-interest credit card as an individual with that type of debt,” Ridpath said. There are not obvious signs of a debt problem at KU currently, such as the university struggling to make its debt or obligatory lease payments. In fact, at first glance, KU looks to have some of the lowest debt totals in the Big 12 at about $33.9 million. The picture becomes more complicated, though, when you add in long-term lease payments, which are similar to debt in that KU is obligated to make the lease payments or face serious financial consequences. KU committed to a minimum of 30 years of lease payments totaling $60 million for Rock Chalk Park that include track and field, soccer, softball and tennis facilities in northwest Lawrence. When the Rock Chalk Park project is added to the mix, KU has a little more than $94 million in debt and lease payments on its books. Even that number is not particularly alarming, when measured against others in college athletics. In a January 2017 article, Bloomberg reported that at least 13 schools in 2014 had debt of $250 million or more. KU’s total of $94 million is in the ballpark of its neighbor, Kansas State University. According to its 2017 audited financial statements, KSU had about $81 million in long-term debt and just under $1 million in long-term leases. But there is a difference. K-State already has completed its major football facility upgrades, while KU’s are still to come. How much debt KU plans to issue as part of its $350 million campaign is still unclear, Zenger said. But he said KU would be “circumspect” about moving ahead on the project and would tackle projects in phases rather than all at once. “We will do it in a prudent manner and never exceed our yearly ability to pay,” Zenger said. KU’s yearly ability to pay for many things can best be summed up in one word: donors. What is fairly well understood by the public is that donors pay for a lot of construction and facility projects for Kansas Athletics. What may be less understood is that donors pay for a lot of day-to-day operating expenses too. The ticket sales and TV money don’t even come very close to paying for Kansas Athletics’ operating expenses. By looking at the audited financial statements, a picture begins to emerge of how much Kansas Athletics spends on operations versus how much it spends on capital projects, like stadium and arena improvements. The financial statements also show how much revenue Kansas Athletics receives from its operations — everything from ticket sales to TV deals to concessions — versus how much revenue it receives from donors. Many nonprofit organizations try to have their operating revenues cover their operating expenses, which leaves donor money to be used for building expenses, special projects or other one-time expenses. Many nonprofits, though, fall short of that goal. Kansas Athletics falls far short of that mark. In 2017, Kansas Athletics had a $19 million operating deficit. In other words, that’s how much KU had to raise from donors to cover basic operating expenses. In 2016, the deficit checked in at $14 million. These numbers aren’t new. KU has been running such deficits for years, and the truckloads of television money haven’t done much to change the situation. Ridpath said that is disturbing. “It is a problem that schools get Big 12 money, but they are still begging for money,” Ridpath said. Sperber, the Berkeley emeritus professor, sees that problem, plus another one: The spending won’t accomplish what the athletic department hopes. Only winning will cause the fans to come back to Kansas football, and the research just doesn’t support the idea that building fancier facilities begets more winning. KU has some numbers in that regard. KU’s last major upgrade of football facilities was the Anderson Family Football Complex, which was completed in July 2008. In the 10 seasons prior to the $33 million football upgrade — which included new locker rooms and strength-training facilities — KU won 53 games. In the 10 seasons since it has opened, it has won 28 games. Sperber said coaches and their track records of getting players to the NFL are more important than wowing recruits with facilities. Sperber notes that facilities are still important, but he has a hard time seeing the wisdom in $300 million of new football facilities. Zenger, of course, can’t afford to think that way. Unlike Wall Street and its dollar, competitiveness is the idol that is worshiped in college athletics. But Zenger says he doesn’t turn a deaf ear to the academics. His father was an education professor, and Zenger has his doctorate in education policy. In fact, one of the pieces of advice he uses most often came from a woman who he said was the consummate academic: former Chancellor Bernadette Gray-Little. 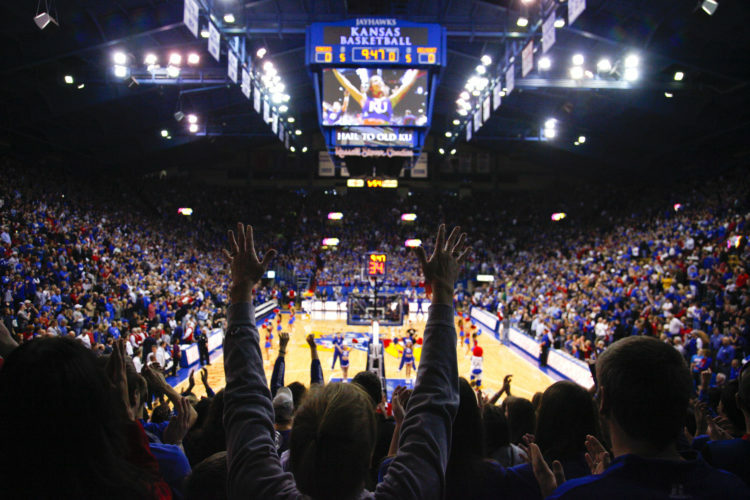 Unlike many organizations, Kansas Athletics has two sets of financial reports. The first one is its audited financial statements. For most companies and nonprofits, the audited financial statements are the official and final word on a company’s financial performance. For this article, the Journal-World relied heavily on the audited financial statements due to the stature of an audited report and the fact that it uses accounting principles that are common throughout the business world. • Audited financial statements: One part of the audit measures the corporation’s assets. That’s money, but it also includes things like buildings and equipment that are used to make money. It also measures expenses, which again can be money but also can be things like depreciation, which measures the falling value of your buildings and equipment as they age. The audit measures two types of assets. The first is unrestricted assets, which means they are assets that can be used right away to fund the corporation. The report found Kansas Athletics’ unrestricted net assets declined by about $117,000 in fiscal year 2017. The second type of assets measured are restricted assets. For an athletic department, those are donor pledges that are tied to a specific project or purpose. They can’t be spent on anything other than the designated purpose. When you look at all assets — both unrestricted and restricted — Kansas Athletics’ net assets grew by $1.2 million in fiscal year 2017. The audited financial statements also have a simpler measurement that looks just at the amount of cash the organization has at the beginning of the year and at the end of the year. Looking just at cash, Kansas Athletics had $1.4 million less in cash at the end of the year than at the beginning. Looking at cash and investments, Kansas Athletics had about $1.2 million less at the end of the year. • The NCAA report: It also measures revenues and expenses but it doesn’t treat all the revenues and expenses in quite the same way as audited financial statements do. In general, the NCAA report for KU lists both fewer revenues and fewer expenses than the audited financial statements show. As a result, the NCAA report shows Kansas Athletics’ revenues exceeded expenses by about $540,000 in 2017. 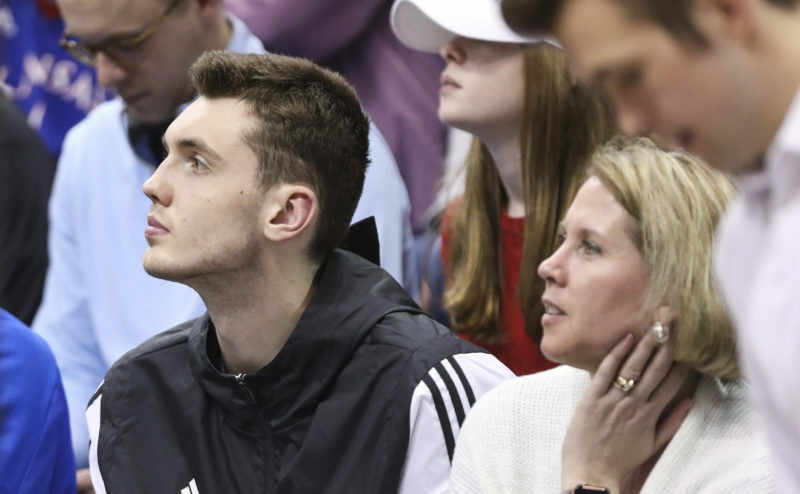 While the two reports are different in what and how they measure, one key trend was evident in both reports: Kansas Athletics’ expenses are growing at a rate much faster than its revenues. The audit showed that since 2006, revenues have grown by 68 percent, while expenses have increased by 93 percent. The NCAA report showed that since 2006, revenues have grown by 49 percent, while expenses have increased by 97 percent.